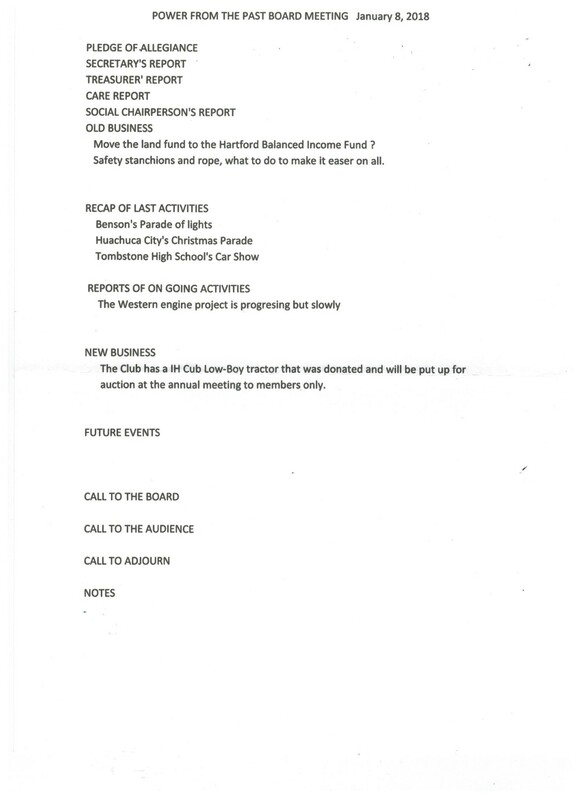 Click on the agenda or minutes of a Board Meeting that you would like to view. Club Meetings are held to process the needs and direction of "Power from the Past" organization. Order and fairness throughout the structure are done to make it a productive session using Roberts Rules of Meetings. The Board serves you and you should serve the Board with productive input. 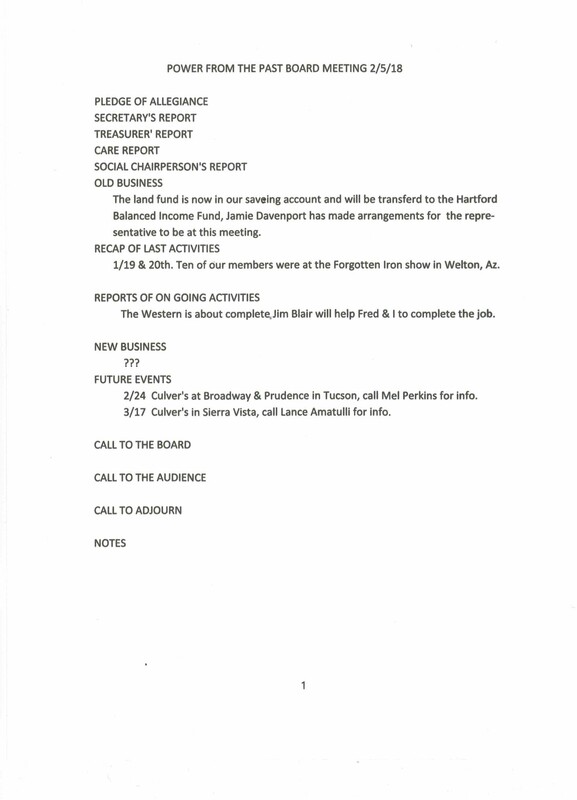 Meeting Minutes Feb. 4, 2019.